Every IndyCar team needs “that guy”. A person well known to everyone who can act as a mentor, ambassador, salesman, translator and can even help change a tire or two. 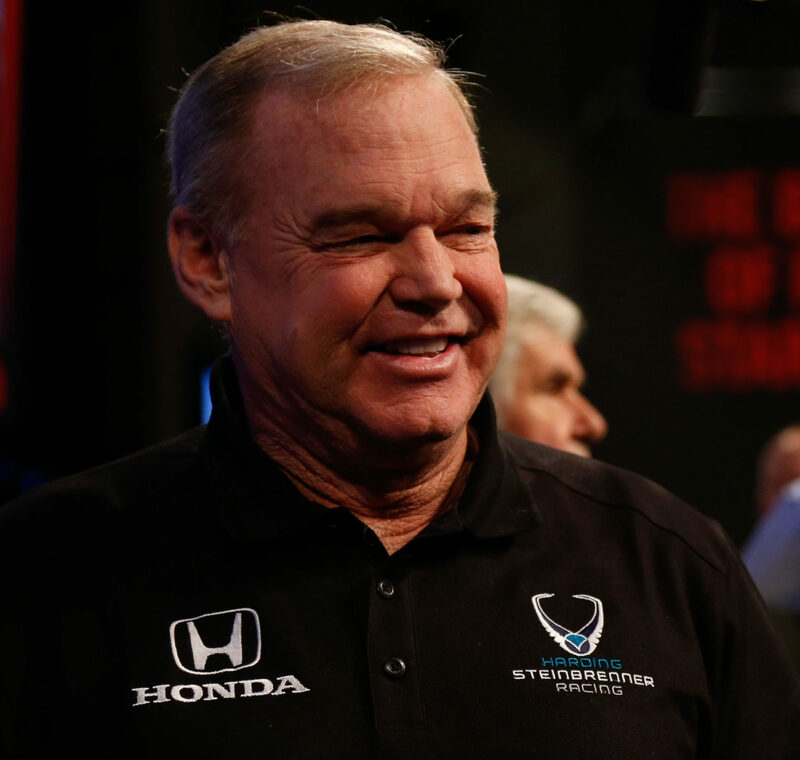 Al Unser Jr. is just that for Harding Steinbrenner Racing. A jack of all trades and fortunate for Colton Herta – master of them all. The two-time Indianapolis 500 winner was brought on board by team co-owner Mike Harding as an executive consultant. A rejuvenated Unser is filling a very important role for a young team who will experience many firsts in 2019 – a guy who has seen and done it all. It’s not only in the garage that Unser is having a dynamic effect on the team. He is, in a way the face of the team. Nowhere does that experience play bigger than when you’re trying to find great partners. Being around a talented driver like Herta is keeping the 56-year old Unser young and full of energy. In his racing career, Unser drove cars in IROC, World of Outlaws Sprint Car Series, NASCAR, Can-Am, Cart and IRL. That experience and passion for racing is something Unser sees in the Harding Steinbrenner driver every day and was demonstrated in a big way this offseason with Herta winning a watch and title at the Rolex 24 Hours of Daytona. All that makes you a better driver. Never was that kind of experience more evident than at IndyCar Spring Training at the Circuit of Americas where Herta placed P1 in three of the four sessions and P2 in the only session he did not lead. Unser’s bond with the up and coming pilot is growing stronger and is very familiar. He understands the family legacy that was passed on to him by his father Al and nephew Bobby – both Indianapolis 500 champions with Colton whose father Bryan is an Indy 500 winning owner and whole also raced in CART and IndyCar Series. The one thing that Herta has is talent and ability. Some of that is learned but much of it is from birth says Unser. Reminiscing with Unser is a lot of fun. The passes, the close calls, the joy of winning and drinking cold milk at the Brickyard. His last race was at Indianapolis Motor Speedway in 2007. There are some similarities to IndyCar then and some great differences too. No matter the role, Unser is a willing teacher and cannot be more excited about the future of Harding Steinbrenner Racing, it’s team and driver. It’s all about paying it forward.